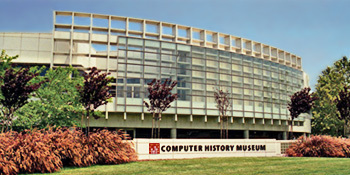 Where better to bring together technology thought leaders together than the Computer History Museum in Mountain View, California. Last night Dice launched NextTech, an industry event designed to inform and entertain, all while supporting tech professionals, many whom are Dice job site users. NextTech brought together tech industry visionaries, a select group of tech professionals, and leading tech companies to learn about the future of the tech industry, software, gaming, social media and more – beyond 2010. My guess is that 300+ showed up to this capacity event.